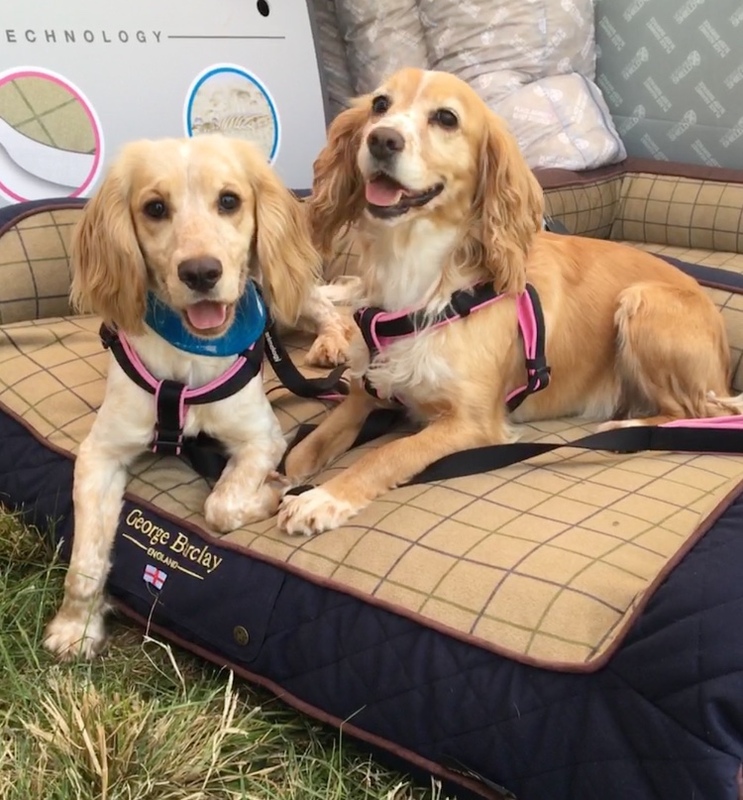 I was super excited to stumble across George Barclay Dog Beds at DogFest this year. After a scorcher of a day, we ambled around the trade stands finding shade, drinking water and browsing the goodies that were for sale. The girls immediately made themselves at home on one of the display beds and it was a struggle to get them to move! George Barclay is based in the Heart of Wiltshire – just a stones throw from our little home. All the products are designed here and the majority made on site in the Wiltshire premises. 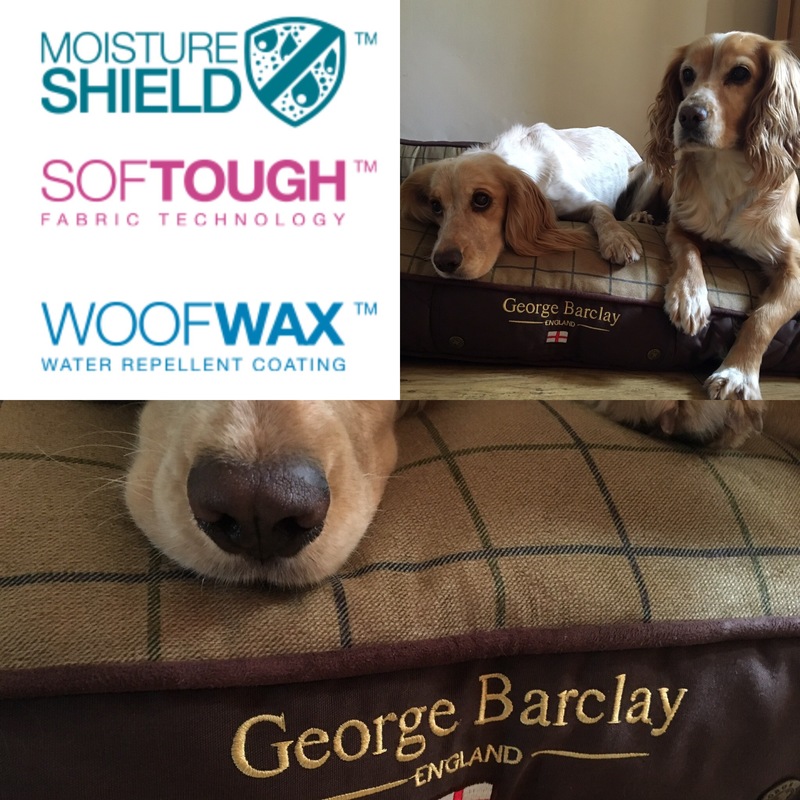 It is clear from just looking at the beds, that they live up to the company’s full name – George Barclay Pet Beds of Distinction! Luxurious, elegant, sophisticated yet still practical, durable and excellent quality. With a huge array of styles to chose from – Country Sofas, Mattresses, Box Beds or Pillow Beds your pet will be spoilt for choice! Once that decision is made then there is the colour to select – stunning county tweeds in Chestnut, Olive & Blue – or perhaps something more vibrant like Fuchsia, Orangeade & Dewberry. Each style of bed comes in a range of sizes – catering for the tiniest Chihuahua to the grandest Great Dane. There is even a choice of filling which the team at George Barclay can advise you on which is most suitable for your pet. 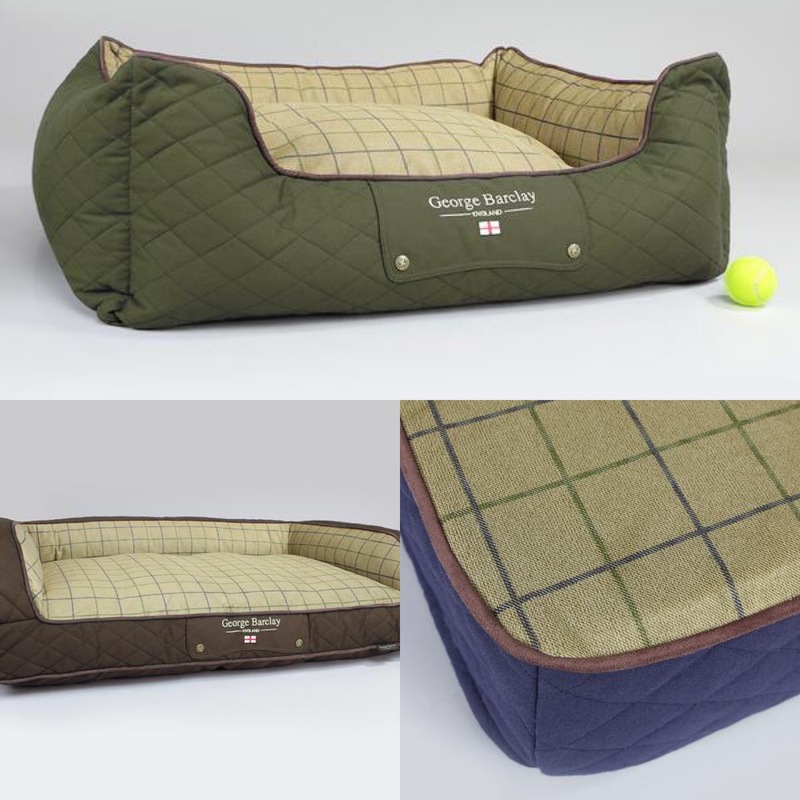 The choice of fillings on offer are a Hollow Fibre Cushioning which is suitable for most breeds and weights – unlike a lot of dog beds the inner cushion is sectioned into three parts ensuring the filling doesn’t gather at one end and make the bed lopsided and uneven. 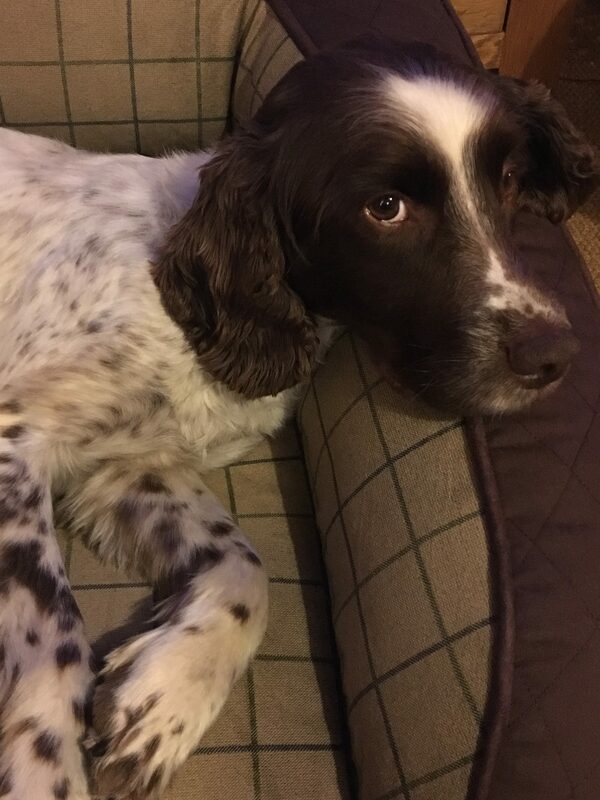 You could upgrade to the Orthopaedic Blended Memory Foam inner which moulds to the contours of your dogs body providing a more superior and supportive cushioning for them to sleep. 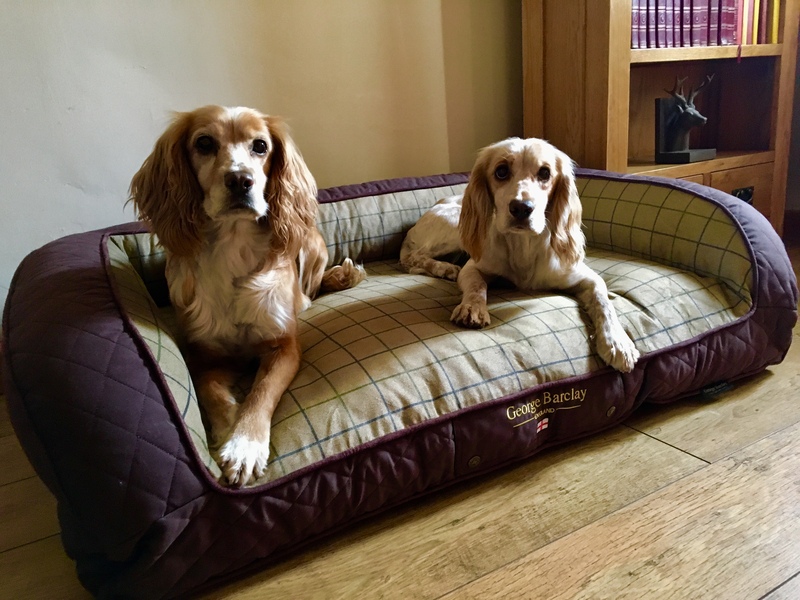 Finally – the Crème De La Crème of support which is perfect for older dogs suffering with arthritis or giant breeds who need more support for their joints – the Encapsulated Pocket Sprung Mattress! Each bed has a huge amount of technology invested into them – not just the inners but the covers too. All the inner liners are water resistant and have the MoistureShield barrier which stops any moisture from the floor, environment or your dog penetrating the cushioning. The external covers have numerous, excellent properties including the WoofWax treatment which is applied to the sleeping area of the bed. This helps maintain a waterproof barrier that is still breathable – useful for any accidents or spills that may occur. Many of the covers also have SofTough exteriors making them durable, hardwearing but still luxuriously comfortable for even determined diggers! Our Country Sofa bed is the perfect size for both girls to lounge around and relax, the beige tweed corduroy cover is super soft yet durable and compliments the rich Chestnut Brown perfectly. It is supportive and even with lots of fidgeting to find the PERFECT position there isn’t a mark or pull on the fabric at all. In fact I have noticed both girls spend a lot less time wiggling and finding that comfy spot now – it’s more a flop and found it! If in the event your dog’s bed needs a wash – the covers are all machine washable and many covers are available to purchase separately if you fancy a change of colour, or want a spare cover whilst one is washing and drying! The girls adore their bed however our only problem now is Bracken wants a George Barclay of his own instead of sharing with the Wiggly Cockers! 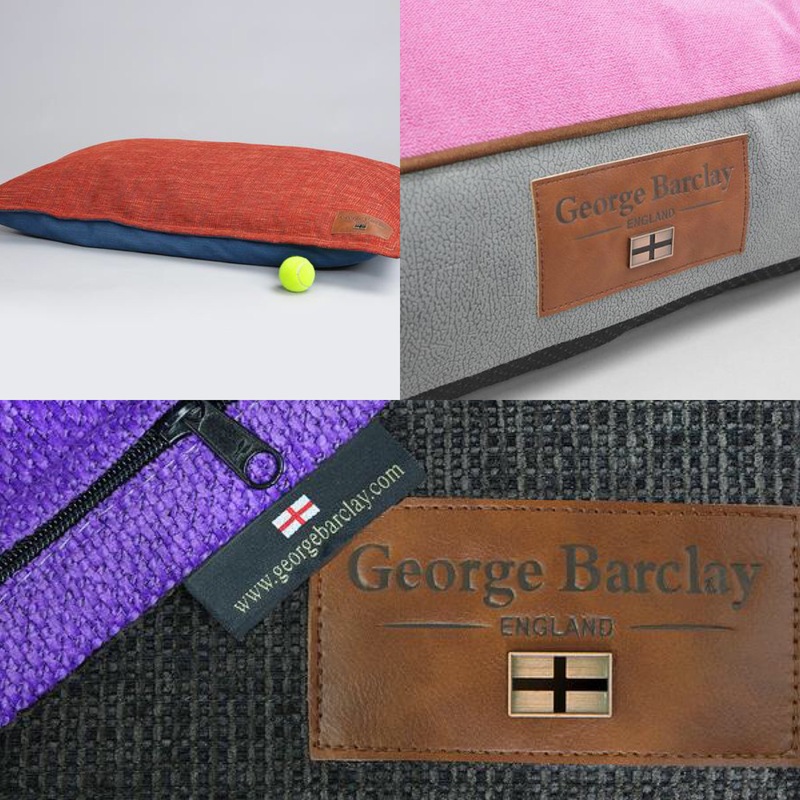 Check out www.georgebarclay.co.uk and choose the PAWFECT bed for your pooch!